Regardless of how my tastes and interests in gaming may change throughout the years, there are two aspects that have and probably will always remain constant: one on one battles against a friend are fun and hacking people to death with swords is fun. The Soulcalibur series had some of the best examples of what weapons-based tournament fighters should be, and while there can be some debate over which Soulcalibur title is the best in the series, one would be hard pressed to find a Soulcalibur fan who doesn’t think highly of Soulcalibur II. There are many reasons why Soulcalibur II is held in such high regard. The biggest fundamental strength it possesses is that it is simply a well developed fighting game. 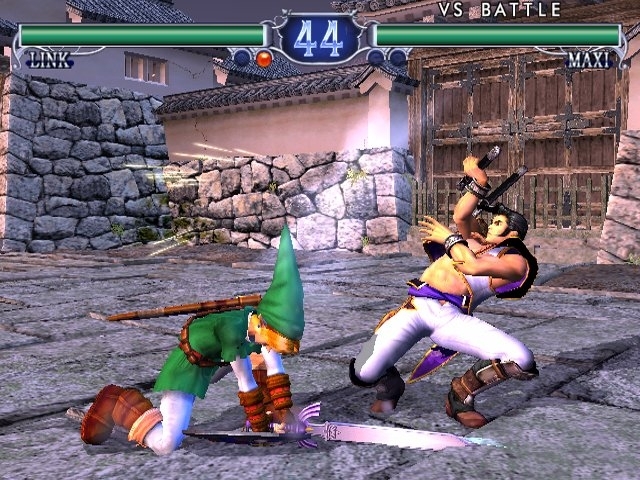 The eight-way run feature introduced in Soulcalibur returns, which granted players the freedom to move in any direction by moving the joystick that way, making the arena actually feel like it existed in three dimensions where the player could avoid attacks by sidestepping out of range. 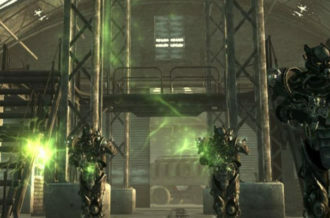 Players whose strategy primarily consists of jump attacks had to adjust to this system, but the greater range of motion and freedom in travelling around the arena allowed for a much deeper combat experience. There are 25 playable characters, featuring many returning characters from Soulcalibur and Soul Edge along with some new faces. Mitsurugi, Nightmare, Taki, Sophitia, Asatroth, Cervantes, Ivy, Seung Mina, Kilik, Maxi, Xianghua, and Voldo were among the many returning combatants. There are 25 total playable characters, and for the most part they each feel pretty unique since there are many different national origins, martial art styles, weapon varieties, and personalities and moralities represented in the roster. There are some similarities between a few characters. Cassandra Alexandra, for example, is the sister of Sophitia Alexandra, and even though each of them have their own story and reason to go in search of the holy sword, Soul Calibur. 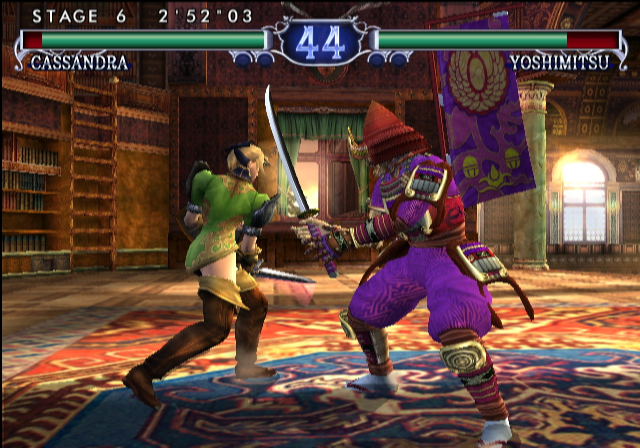 The home version of Soulcalibur II introduced console exclusive characters from other established franchises. Nintendo fans probably made out the best in the deal, as the Gamecube version featured the iconic Link from The Legend of Zelda as their exclusive character. 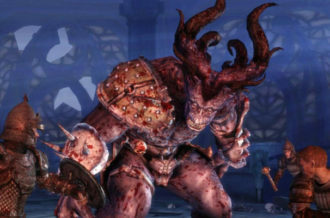 Xbox made out pretty well themselves with the badass hellspawn Spawn, though fans of Todd McFarlane were in luck since the other character he designed, Necrid, was playable in all console versions. And lastly we have the PlayStation 2, which I feel got the short end of the stick with Tekken’s Heihachi Mishima. Don’t get me wrong, in the world of Tekken Heihachi is the man but in Soulcalibur he just doesn’t stand up next to the other options. He doesn’t fight with a weapon, and while he does get major tough guy points for going up against someone like Astaroth with his bare fists collecting different gauntlets isn’t appealing as some of the other character’s weapon galleries. Besides, Yoshimitsu is in the game so we already have a Tekken character. Sony did get justice some years later with Soulcalibur: Broken Destiny with Kratos on the PSP, though overall that game was not as high caliber as this one. 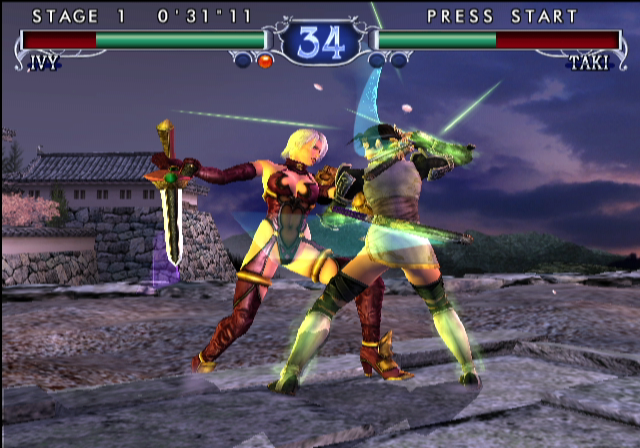 In typical fighting game fashion the standard game modes were included in Soulcalibur II, Arcade, Versus, Time Attack, Team Battle, Survival, and Training. These were enjoyable, and I spent many hours after the game’s release playing against friends. One of the things that made Soulcalibur II great was its accessibility. Each character has a very extensive move set, and while training mode is a great way to acclimate oneself to each character it will take many hours to master the nuances of each character. Obviously the game is easier and a player who understands the intricate system will be at an advantage, but the game is newcomer friendly so that inexperienced players can button mash their way to victory. Doing so will not be pretty, and it may not be as effective against a master of the game or take multiple attempts at some of the more challenging single player fights, but at the end of the day a win is a win. Weapon Master Mode is one of the more unique modes of Soulcalibur II, and part of why this series has a more fulfilling single player experience than most other fighting games. This is essentially the sequel’s equivalent to Soulcalibur’s mission mode, where the player travels across a map in an alternate take on the story. Soulcalibur II brings back the multiple weapons feature from Soul Blade, though Weapon Master Mode is one general story instead of each character have an individual story like Soul Blade’s Edge Master Mode. The plot of this is the player assumes the role of a wandering swordsman, on a quest for the Soul Edge. 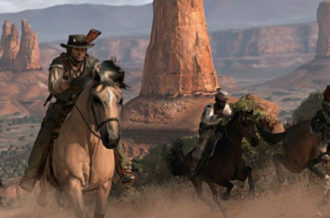 For the most part the player is free to chose to play as any character they want in each stage. Instead of each stage being a simple one on one battle like Arcade mode, the battle conditions change depending on the story. Some battles might be a tournament where the player has to defeat multiple opponents on a single life bar, or have to slay so many Lizardmans before the timer runs out. Some stages might be a labyrinth where a large number of combatants but may also include hidden treasures, and sometimes the player may be poisoned and have to win the battle before their life bar completely drains. 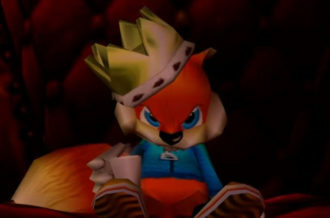 Players gain experience points to increase their rank, and also collect gold that can be used to buy items for the art gallery, costumes, and weapons. 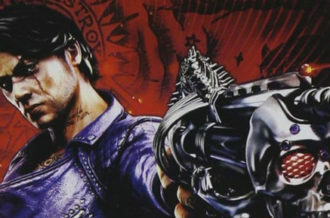 Once extra weapons are acquired, an “Extra” version of Arcade and those other modes will unlock that allows players to use the purchased weapons. Soulcalibur is a reason in itself to own a Dreamcast, but as great as it is the lack of extra weapons was its one major flaw in my opinion so it was great that this feature returned in Soulcalibur II. The weapon choices in Soulcalibur II made the game more enjoyable for a number of reasons. Besides the obvious factor of more powerful weapons can give the player an edge in tough battles, the variety of what they did had the potential to make matches more interesting. Besides different attributes, several weapons had different effects. Some of them might not be very powerful but would cause a character’s health to gradually regenerate, and some might be extremely powerful but include constant health drain as a side effect. Joke weapons were included as well, which typically made silly sound effects and didn’t do very much damage. These were generally things that would be ridiculous to use in a fight, like Seung Mina using a feather broom or Voldo replacing his claws with tambourines. People who missed out on this one or no longer own the systems Soulcalibur II was released on can download an HD version with online play included on the PlayStation 3 or Xbox 360, and unlike the disappointing Xbox 360 port of the first Soulcalibur, all game modes are included in Soulcalibur II HD Online, and both platforms include both Heihachi and Spawn, though sadly (but not surprisingly) Link is nowhere to be found. 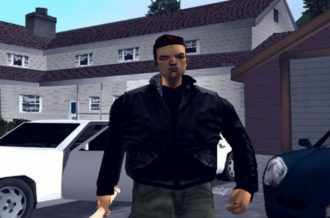 An unfortunate casualty of the advances that are made in gaming is some games that were loved in their time just don’t hold up after five or ten years. Soulcalibur II will be 15 years old (original arcade release July 2002) and naturally does show its age but is still quite enjoyable to play, though with modern TVs the HD remake will look a lot nicer than the original. Soulcalibur II and its two predecessors are great examples of what should be used for a template in designing fighting games. I don’t play tournament fighters nearly as much as I used to, but the majority of the ones I’ve experienced have the multiplayer component pretty much perfected but the single player portion is lacking. Soulcalibur II is so fondly remembered because it delivered a great competitive experience when facing off against another person but also included a substantial single player experience.